The weather is warming up and winter is on its way out! Now is the perfect time to start spring cleaning your office. Organizing and cleaning any room, especially if it has gotten out of hand, can seem like an overwhelming project. We’re here to help! We’ve compiled a few tips to help get you started on getting your office back to the productive workspace it’s meant to be. Your desk should only hold your most important items. Computer, phone, notepads, pens, and other vital supplies are examples of these. If your desk has drawers, they should only hold important items as well. If your desk is cluttered with food wrappers, old documents or pieces of mail, it’s time to start cleaning it out. Only keep what you need and use regularly. Get rid of your digital clutter. Our online workspaces are important to our productivity just as much as our physical ones are. An inbox full of junk or unopened emails looks overwhelming to some. If you have a digital to-do list or schedule, optimize it so that it contains reasonable goals for each day. Keep up with it, too! If one task doesn’t get done, assign it to a different day where you’re sure you’ll have enough free time. When your desk and online workspaces are organized, it’s time to get down to the actual cleaning step. Wipe down all of your furniture surfaces with disinfectant. Dust your bookshelves. Polish your wooden furniture. These steps should be a weekly part of your routine. If you can’t keep up with it yourself, consider hiring a professional cleaning service. You don’t want to ignore your floors! You’ll need to vacuum, mop, and (if needed) wax them. If you’re willing to make this project even bigger, get down to the baseboards, air ducts, and corners and clean up all the collected dirt and dust. Squeaky-clean floors will make the room seem bigger and more approachable. Spring is a great time to kick-start your cleaning projects and it’s also an opportune time to set new cleanliness goals and habits for yourself. Take the time to deep clean your office and help it stay clean by working regular maintenance tasks into your routine. Something as simple as clearing clutter off your desk daily will make a big impact. Try not to think of these tasks as chores – think of them as you investing in your own productivity and success! We’ve all learned about charismatic leaders throughout history. Some examples are Martin Luther King Jr., Sir Winston Churchill, and even Mother Teresa. What sets these kinds of leaders apart from typical leaders is that they are skilled communicators, have a way with words, and are able to communicate on an emotional level with their followers. What else does charismatic leadership entail? Sensitivity to the needs of their followers. A charismatic leader is always finely in tune with the needs of the people they’re leading. Many leaders simply focus on their goals and string their people along with them regardless of how it affects their peoples’ well-being. Charismatic leadership means knowing when your people need a break, when they need to be pushed more, and when they’ve reached a proper level of equilibrium between the two. If you think of popular charismatic leaders, you’ll likely end up thinking about how well-spoken they are. Charismatic leaders know how to communicate on a deep level and inspire hope in the people who follow them. These types of leaders don’t just bark orders, they work with their people and motivate them to be their very best through intimate and moving language. Mistakes and mishaps are an inevitable part of working toward most goals, and charismatic leaders know and understand this. This plays into our first point of being in touch with the people who follow them – this includes knowing what kind of feedback motivates their followers the most. Being abrasive is not charismatic and doesn’t bring people together. Inclined toward intelligent risk-taking behavior. The best charismatic leaders know where and when to push the boundaries of what is considered normal and accepted. Moving toward change requires this kind of behavior, but the real skill comes in getting people to back them when they make these moves. Charismatic leaders are adept at working toward their goals in controversial ways and getting people to support them throughout the journey. The world needs charismatic leaders because, typically, they advocate for a better world in whatever context that means to them. The scale can be as big as running for president or as small as motivating their sales team to meet their goals. They tend to have the courage to stick to their convictions despite pushback and advocate for what’s right. If you’re in a leadership position, take time to evaluate how you could incorporate these qualities into your own leadership style. Technical support is an integral part of any business regardless of industry. This is especially the case for companies that provide online or digital services. Customers expect timely support when there is an interruption to the service they’re paying you for. This is where IT support comes in. While some companies have an in-house IT staff to resolve issues on the technical front, others are turning to IT outsourcing. Why Outsource IT Support Services? You should outsource IT support for the same reason you should outsource other non-industry-related operations like customer support and outbound calls. It takes the load off your shoulders, thereby freeing up valuable in-house resources. The biggest advantage is the reduced overhead. With few exceptions, outsourcing is almost always more affordable than hiring an in-house IT staff. With third-party outsourcing, you don’t have to deal with additional expenses, such as paid leave, severance packages, paid bonuses, turnovers, etc. Less overhead spending means you free up capital for use in other areas. Think of mega corporations like Google, Amazon, and Netflix. These companies have the budget to hire their own IT staff comprising of the best of the best, along with cutting edge technology. Smaller companies have no way of competing – at least not through hiring their own team. With outsourcing, their customers enjoy the same reliable and speedy access to technical support. This creates a more even playing field between young startups and large enterprises. Having an in-team IT staff working around the clock is cost-prohibitive. Since the third-party provider focuses solely on IT and call support, they have the manpower to operate 24/7. If you serve international clients, that’s no problem. IT support is there for them regardless of time of day. Even if a client is calling in the middle of the night in his or her respective time zone, a third-party provider can provide a range of support, such as software installation, site navigation training, app support, and more. IT and technical support is a necessity in this day and age of big data. This is where the tech support services of Executive Boutique comes in. Though we are based in the Philippines, we serve hundreds of companies spanning all industries and in countries like the U.S., UK, Canada, and more. Call us to get started. We are confident it’s one of the best investments you’ll ever make. Thanks to the power of technology a.k.a the internet, starting a business is easy compared to some 10 or 15 years ago. With just a few short clicks, one can easily set up an online account, start selling products and services with the whole social media universe as your market. That is why it is all the more challenging to sustain a business because everyone can just go online and be your competition. So how do you stand out from the rest? How do you achieve success? According to Investopedia, Market Research is the process of assessing the viability of a product or service through research conducted directly with the consumer. It determines the past, present and potential customers of the said product, their characteristics, spending habits, location, and needs. Every product or service that is successful today is a result of thorough research. When you are armed with all the critical information such as your consumer needs, their location, etc. then naturally, you would also know what you would produce to meet that need and make it available in places where there is demand. Suffice to say, before you even start your business, you should already be well aware of the essentials. 1) You will get to know your customers better. You will be able to identify who your buyers are, their demographics, personality and traits, what they need, how often they buy, and their expectations of your product. When you understand these things, you can tailor make your products and services to match those of your consumers. 2) You will also learn about your competition and their strategy. Market research also helps you know and understand your competition – who they are, their approach, their experience, and most importantly, their weak points. Armed with such information, you know what to avoid and how to stand out to get noticed. 3) You will be able to test your product before launching. Even when your product is all good and ready to be introduced to the market, it is always a good idea to test the waters first. The initial feedback you get will make you aware of anything that you need to improve on, what approach to take when marketing your product and what not to do. 4) You will stay in business. Times change. Whatever worked for your product at the beginning may not necessarily stay that way a few years down the line. WIth market research, you stay up to date with the trends so you can adapt and remain a hot commodity even in the changing times. Market research allows you to capitalize on newly discovered market opportunities. It helps you improve, and encourages product innovation. When your product continually changes for the better, it results in continued patronage and steady increase in profit. While market research is a worthwhile and crucial business strategy, it is also time-consuming and a constant effort. So outsourcing it to a reliable BPO company in the Philippines is the next best thing. Not only does it save you valuable time, but it also guarantees that experienced professional researchers adequately do it. BPO companies employ effective methods in conducting research work ensuring complete and accurate information which will be your key to success. Let our warm and friendly, expert professionals at Executive Boutique help you achieve business success through market research. We offer you competitive pricing and flexible contracts. After thorough and careful consideration, you have finally decided to outsource to the Philippines. To begin, you already have a pretty good idea of what office functions you want to outsource. Now you just need to take your pick out of the 851 registered BPO companies in the Philippines, and then you can start to relax and focus on your core business. To arrive at an informed decision, you must begin by getting a good understanding of the different types of call center services provided by BPO companies in the Philippines. For starters, call center services may be grouped into three types – inbound, outbound, and business process outsourcing. Inbound call center services deal with the handling of incoming calls; while outbound call center services are the opposite – doing call outs. BPO services, on the other hand, is the delegation of operations and responsibilities of specific business functions. Customer service is the heartbeat of every organization. An organization with robust customer service is a successful one. Customer support services vary and may range from after-hours support, call overflow, product inquiries, billing inquiries, order processing, customer management, and customer retention. Technical support is helping callers with technical problems such as troubleshooting, or setting up an online account, or website navigation. Works as a central hub where problems and issues are reported. Inbound sales calls come in different types. It can come as direct response marketing or sales lead qualification. A business to business marketing service which involves a person/agent acting in a company’s behalf and making calls to set up business meeting appointments. Collection reminders can both be live or automated. It is an effective way to recover debts. An agent will call your customers and remind them of overdue or late payments. It can also be an automated service which is set up as an Interactive Voice Response (IVR) that will send notifications. This direct marketing strategy involves soliciting prospective clients to buy certain products and services. In an outbound call center setting, an agent aims to engage potential customers in a strategic and targeted way through a personalized approach. This is a marketing strategy that works on identifying and cultivating consumer interest into a product or a service. It generates a list, a database or leads for e-newsletters or sales. A call center agent will call out clients who are identified with products and services that match their need, aiming to close a deal. An advantageous marketing strategy that involves the gathering of vital information on current market trends, spending habits and patterns of customers, and identifying areas for growth. An outbound call center helps in generating survey responses to inquire into a customer’s satisfaction following a recent sale. Trust Executive Boutique with your outsourcing needs and watch your profits grow. We offer a broad portfolio of call center services designed to help you reach your full potential. We are flexible, and we can work with you long term or on a project basis. We commit to work with you in identifying business solutions to save your company time and money. Find out today and contact us to learn more! 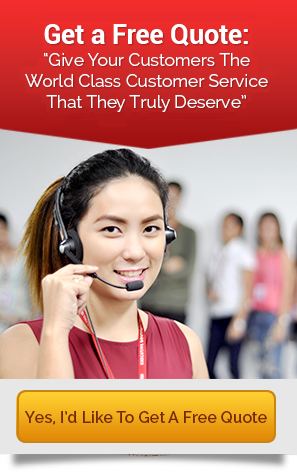 More and more, organizations looking for a way to provide their clients with customer service around the clock without the prohibitive expense of hiring an onsite staff to process inbound inquiries are turning to Philippines-based call centers to meet their demand. Executive Boutique offers this indispensable resource at an outstanding value, allowing you to make more out of every dollar you invest in meeting the needs of your customer base. Thanks to our innovative business model, we can provide unbeatable pricing on inbound call management services. Our pricing is entirely determined by the level of technical knowledge your typical inquiries require, and you can select a pricing model that fits the number of agents you need on call at peak hours, the specialized information our team will need to know, and the kind of services they will be expected to provide your clients. While our rates are flexible based on the individual needs of your business, we focus on providing you with a clear picture of the projected costs, including labor expenses, equipment usage, and other related charges. In contrast with many of our competitors, our company structure enables us to eliminate startup fees and other hidden costs, and our support team can offer you a no-obligation quote tailored to your needs. At Executive Boutique, everything we do is aimed at guaranteeing your customers a directly comparable quality of service as provided by an onsite call center. We have chosen the Philippines as a base of operations because the territory’s schools and universities primarily teach in English, including American-preferred pronunciation and word usage. Every customer service agent we hire has been stringently screened for the highest caliber verbal and written communication skills available, as well as minimal noticeable accent. Along with selecting from the top talent pool within the third-largest Anglophone nation in the world, we also make a special effort to bring you the right staff for your specific needs. We have sample voices from our team members available for you to listen to before you commit to a service plan, and we can also schedule a time for you to speak to our agents directly so you can evaluate their suitability to represent your business. Our quality of service is second to none in the international call center marketplace. Our state of the art VoIP telephone system is engineered to deliver outstanding call quality as well as high transmission rates (under 200ms) for a seamless listening experience. Our lines are open to your customers 24 hours a day, 7 days a week, and the experience is nearly impossible to distinguish from conventional calling services. Of course, you can always schedule a live demonstration of our services before committing to a contract. We take every step to offer a service that delivers the ease of use that an onsite call center provides. Your agents can be assigned area codes and callback numbers from any locale you prefer, meaning that your customers and prospects should never be able to tell the difference between our international call center and conventional inbound call services. The result is a reliable option that keeps you in constant contact with your clientele for less. Our multifaceted approach to call center outsourcing is more than a cost-saving alternative, but a powerful tool you can use to amplify the effectiveness of your onsite staff. Contact Executive Boutique today to learn more about customer service in the Philippines and what we can do for your business. Start the process by identifying items that can obviously go in the garbage. This includes napkins, old takeout containers, and empty to-go coffee cups. Grab a brand-new garbage bag and walk around your office identifying these items and immediately tossing them. The mess will look more manageable after this step. Every office struggles with a flow of random objects entering its space. There are three main types of these items: things you need to keep (umbrella, travel mug, coat), trash, and important documents. Make sure your garbage can is not overflowing so that incoming refuse doesn’t end up in your workspace. For the objects you need to keep, identify spaces where they can stay. For example, your coat can stay on the back of your chair or hanging on the door. Your travel mug can have space on your desk when it’s full, but when it’s empty it stays on a table near the door so that you don’t forget to wash it. Do you have a lot of paperwork that you need to deal with on a regular basis? If you do, you need an organization system for them so that they don’t overflow your workspace. To help with this, buy two document trays from your local office supply store. Place them on your desk and label one for new documents you haven’t looked at yet and another one for old documents that you’ve reviewed and need to deal with later. Adding onto the issue of overflowing documents, try to digitize your work flow as much as you can (unless you’re someone who needs to hold the documents in their hands). Scan relevant documents into your computer so that you can store them there and access them without digging through filing folders. Office organization can be tricky since it’s so easy to get caught up in the daily grind. Once we get into the zone of working, we often lose sight of smaller things like maintaining a clean workspace. While that’s understandable, cleaning and organizing your space daily will save you time and energy in the long run.